Expand The Muscle Groups You Teach. 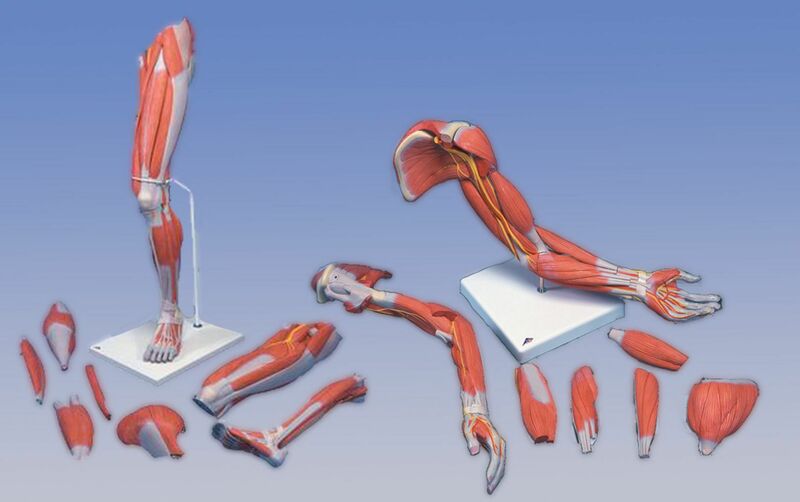 With a combined 12 removable muscle groups, and over 100 keyed structures this arm and leg combination makes for a great addition to your muscular torso. Each model is approximately life size and includes an individual base. The leg can also be divided into an upper and lower section making it easier to handle and pass between groups.